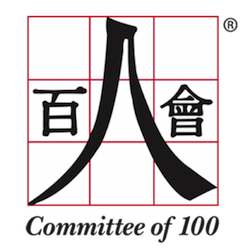 (New York, NY, March 1, 2018) — Today, a coalition of community, non-profit, fraternal, and civic organizations representing Asian Americans and Chinese Americans released an open letter to FBI Director Christopher Wray urging him to meet to discuss recent remarks he made apparently characterizing all persons of Chinese origin in the United States as a national security threat. The groups believed such sentiments violate American principles against stereotyping based on race and ethnicity. Their statement is below. We write to express concern over remarks you made at the Senate Select Committee on Intelligence hearing on February 13, 2018. We are a coalition of organizations, representing a range of communities, including Chinese Americans, Asian Americans, and others committed to American principles of civil rights. We include community groups, fraternal associations, non-profit organizations, and professional associations. All of the organizations represented are non-partisan. What unites us is our interest in promoting belonging and equality, including of immigrants. On behalf of our many thousands of members, who are loyal citizens, native-born and naturalized, as well as immigrants, we request a meeting at your earliest convenience. We believe there is an opportunity to engage in positive dialogue to advance our nation’s ideals as well as its national security.At such a meeting, we would offer you an opportunity to speak directly to representatives of the millions of Asian Americans — our nation’s fastest-growing minority group. The truth is that many of our constituents were shocked, with feelings of both anger and sadness, that anyone would suggest they were a threat to all of American society. Thus we would like an opportunity to discuss how well-intentioned public policies might nonetheless lead to troubling issues of potential bias, racial profiling, and wrongful prosecution. We can communicate a message back directly to many who are troubled by what may be a misinterpretation of your comments.There are now over 18 million Asian Americans, and those with ethnic Chinese origins constitute the single most numerous population. We are taxpayers. We include sixth-generation Californians. Among us are individuals who have served and continue to serve in the federal government, law enforcement (such as the FBI itself), armed forces, and with intelligence agencies. Many of us, or our ancestors, came as students or scholars. We contribute to society as entrepreneurs, in every scientific discipline, and at all academic institutions. Foreign students continue to come in this tradition. While here, they add to our academic institutions and deserve fair treatment.After 9/11, with our nation at its most vulnerable, President George W. Bush and your predecessors at the FBI and other law enforcement authorities reached out to Arab American and Muslim American communities to ensure everyone came together in unity. Our goal is to ensure that in discharging the FBI’s duties, the agency is aware of the many millions of innocent, law-abiding, and patriotic Asian Americans, in particular Chinese Americans, who are affected directly or indirectly by its actions and statements. No doubt you are familiar with the internment of Japanese Americans during World War II, two-thirds U.S. citizens, for which Presidents of both parties have apologized and Congress issued redress. We would like to avoid such a situation in the future. Ongoing dialogue is crucial.